It looks like Korean Kingdom Under Fire developer Blueside is teaming up with Phantagram to create a new Kingdom Under Fire: The Crusaders sequel. 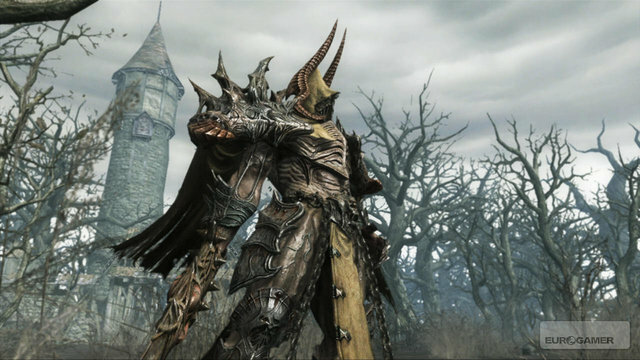 It will take the series back to its tactical roots after Xbox 360 action RPG spin-off Circle of Doom, and will be a self-confessed pioneer of the MMOARTS genre (massively multiplayer online action real-time strategy). This, ambitiously, means you and thousands of others can siege castles and wage war online, as any one of three factions: Human Alliance, Dark Kingdom and mysterious new addition. There will be a single-player campaign to romp through as well, promising a deep storyline and lots of drama between characters. Like Neighbours. On top of all of that are boasts of spectacular graphics which, judging by the first batch of shots, sounds reasonable. 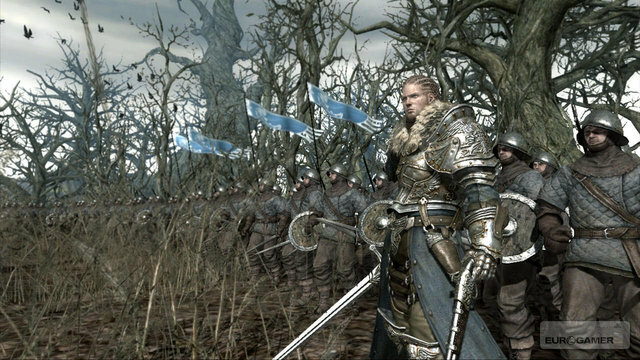 Kingdom Under Fire: The Crusaders appeared on Xbox in 2004 and blended action with RTS. It was well received and followed by KUF: Heroes a year later. Kingdom Under Fire II is due out on PC and consoles in 2009.